A trailer for an RTÉ Prime Time programme focusing on transgender issues sparked controversy after it revealed that Graham Linehan would contribute to the show. The programme will explore "the implication of the explosion in the numbers of young people saying they want to change gender." In the trailer for the show, which is due to air tomorrow night, Graham Linehan said, "you do not tell kids that they have been born into the wrong body just as you don’t tell anorexics that they are fat." Hollie Leddy-Flood co-created a Change petition to ask RTE to remove the comedy writer from the line up of the programme and at the time of writing, the petition has over 5,000 signatures. "Graham Linehan is not a medical expert and he is not transgender. He has frequently expressed transphobic views in public and has used his social media platform to denigrate transgender people - so much so that he was visited twice by the UK police in relation to his online behaviour. He has also advocated against a charity that supports gender non-conforming children and their parents." "Ireland is a relatively safe and tolerant place for trans people and we feel that his hateful views have no place in our public discourse. RTE has a duty to present this issue in a fair-minded and balanced way and not to try and inflame a toxic debate similar to what is occurring in the UK." Noah Halpin of the This Is Me - Transgender Healthcare Campaign says that there is a feeling of dread within the trans community about the upcoming programme. "The feeling amongst the trans community is fear that our recent progress in acceptance and understanding will be hindered and reversed. Fear that a public figure's ideologies will inadvertently give others permission to see us as he does, allowing for an increase in transphobia in both a verbal and physical form." Mr Halpin says he welcomes public conversations about trans issues but questions why Mr Linehan is being given airtime. "No one is more expert in trans lives than trans people. These conversations must include trans people and those with educated experience in subjects relating to trans identities, and this is whom Prime Time should be featuring to ensure complete accuracy of the information being shared to the general public." Mr Halpin says he feels Mr Linehan, "does not deserve a voice in this most sensitive conversation" as he "has no formal education, experience or expertise in subjects relating to trans identities, gender recognition legislation or healthcare." Mr Halpin expressed concerns that Prime Time's upcoming programme, "will create a very dangerous existence for trans people in Ireland." 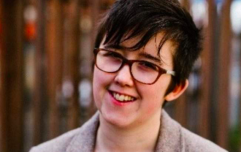 "By encouraging a narrative that trans people shouldn't be allowed to medically transition, it risks seeping deeper into society and further affecting our already dire trans healthcare system in Ireland. It is not the type of conversation that will benefit the trans community in leading happy, safe, unstigmatised lives." If you have been affected by any of the issues in this article, you can find support on TENI’s website.